Dragonfly - Green Patina, rare Tim Cotterill Frogman Bronze. A hand signed rare Frogman Bronze. 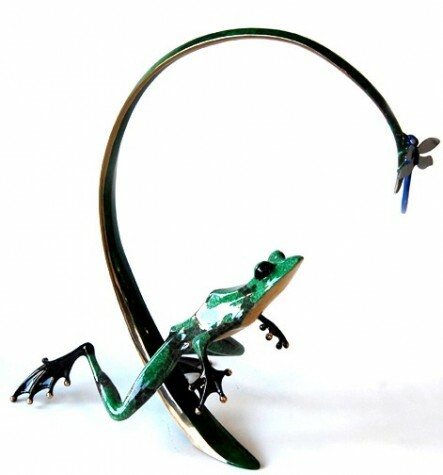 This edition of Dragonfly released in 1999, early on in artist Tim Cotterill's career. With stunning green patina, and an edition size of just 2000, this wonderful frog is an exquisite example of Frogman bronze art.